A Website is gone. 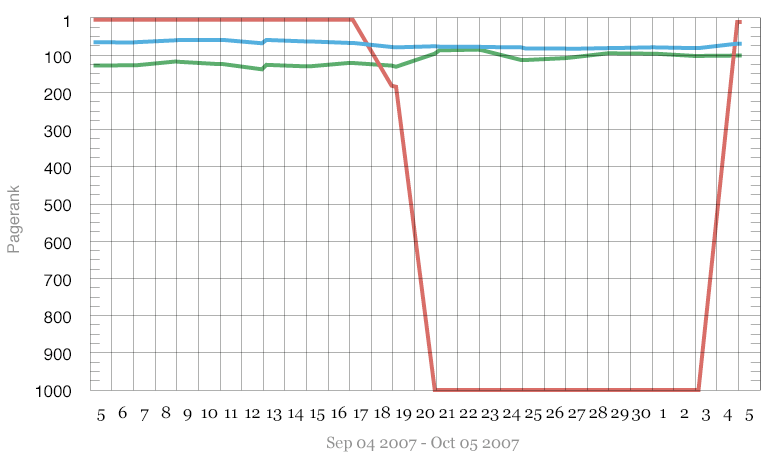 The apparent removal of 911truth.org from Google results for the query "9/11" September-October 2007. A Website returns. After a two-week hiatus, 911truth.org returns to its usual top-ten placement in Google returns for the query "9/11" September-October 2007.